Operation Get Speedy | Fit Girl. Happy Girl. Maybe this is just the result of my environment – Runner’s World – and the fact that many of my close friends are also runners, but can a girl get a little bit of breathing room? I recently read a post on our site by Coach Jenny Hadfield about the importance of resting during the off-season. Newsflash runners, we should be taking an off-season between training cycles. As I was training for Marine Corps I was beginning to feel extremely run down, tired, and almost resentful of my decision to run the marathon. I ran my first marathon in April, decided immediately after to run Marine Corps (because it seemed like everyone was doing it), and ended up feeling unmotivated and even injured for almost half of my training. I also forgot to remind myself that I haven’t been running for that long. I’ve done all of this in less than two years and while I’m grateful and have enjoyed (almost) every mile of it, every runner has a breaking point, right? So back to that question, “When’s your next race/marathon?” In all honesty, every runner, whether they admit to it or not, has their race schedule planned out at least six months, if not a year or more, ahead of time. I’m no different. But despite many inquiries, I’ve decided to take the spring off from marathoning and focus on the marathon’s sweet little step-cousin, the half-marathon. At the beginning of my training for Marine Corps I started to get speedy. I’m still so new to running but I’m no novice to the fact that new runners tend to improve quickly- which was what was happening with me. My times were dropping in races and even my easy training runs were getting faster and faster. But then the high mileage of marathon training took its toll and I had to slow down a bit. But I want that speed back and I want to get even faster, so I figure the half-marathon is a great place to start. With the slightly lower mileage demands, and increased speedwork, I should be warming up those fasttwitch muscles in no time. My plan is to start setting time goals and to stop being afraid of getting out of my pace comfort zone. Before I finished Marine Corps I knew I was going to be running Disney through work with our Runner’s World Challenge (we’re sold out now but check it out for next year, it’s awesome). My goal for Disney was to basically use it as a test of my fitness to see where I’m at going into spring and more importantly, break two hours. Well, that plan was foiled when I actually broke two hours during the second half of MCM, setting a 13.1 PR of 1:59. I’m now going to readjust my plans for Disney to a little more aggressive goal but I’m still mulling it over with my coach. I also am not ready to go into super training mode so I want my training for Disney to be relatively doable but with speedwork and some decent long runs. St. Luke’s is going to be my goal spring race. I plan to train aggressively for this during the winter and spring and will set my time goal based on my results at Disney. So far, that’s all I’ve got. There might be another half thrown in there but I hope to add in some 10Ks and 5Ks to work on my speed and just get out and run. Then, if everything goes as planned, I’ll be in pretty good fitness for a fall marathon – which one I’ll run is still to be determined! How far out do you plan your race schedule? Any other races I should consider? Totally agree about the burnout factor. 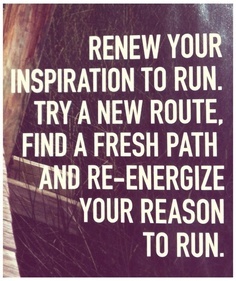 I took a few year hiatus away from running after I went crazy with triathlons and a marathon a few years ago. Although I have aspirations (Boston) I’m committed to keeping it fun and taking an extra rest day if my body needs it. Best of luck with your future races! I only ran one marathon this year but I’m burned out on the distance and training that comes with it. I think for newer runners it is a really good idea to do a half in the spring as it helps keep endurance, builds speed and gives you confidence. Can’t wait to see how you do! Those all sound like great races! I ran my first marathon in October and loved every minute of it. If I could have ran more, I would have but my ankles had other plans for me. As a student, traveling for races is just not feasible (and neither is paying for them!) and here in Iowa – the winters put a bit of a damper on races. I have an 8K fun run on Thanksgiving, but other than that I will have to wait until the spring/summer to get back to racing when I plan on doing a 10K, 10-miler, and half-marathon. I tend to plan races pretty far in advance, but also not opposed to spur of the moment ones either. Taking some time off or stepping back is really important as to not get burned out–definitely been there done that! I prefer to plan ahead of time, just to give myself enough time to feel prepared. I think avoiding a burnout is super important too! Great effort in getting up to marathon level in two years! I’m newish to running as well, and my limit has been a half-marathon (done the same one twice now). I was getting fed up of the long training runs at weekends (having to use my lie-in day to do it too, what with young kiddies to look after! ), and I ended up getting a cold by the time the half marathon came around (so, I had a shocker of a run in the end). I think running has to fit in with life, and so, as my wife has just given birth to our third wonderful little child, I’m taking life (and running!) one day at a time for now! I’m hoping to emerge from the sleep deprivation in the next few months/years and then I’ll be able to plan my races better. For now, I’m just grateful when the opporutnity presents itself to get out there, whether for a race or just for a run of any shape or form! I’m running into this dilemma now as well. I’m running my first marathon at Disney in January (good luck on the half the day before by the way), and I’m really wanting to sign up for races afterwards. I’m just unsure how much of a ‘rest’ is necessary before getting back to racing. Pingback: Funning | Fit Girl. Happy Girl.